Handing out Halloween candy and ooh-ing and ah-ing over every costumed person who comes to our door is one of things Husband enjoys most on Beggar's Night. That and testing our Halloween candy for Quality Assurance while waiting for the Trick or Treaters to come to our porch. That was one of my favorite parts of Halloween until I because a card carrying member of the Food Allergy Club. Sad face. It is a bummer to find almost everything in the candy aisle at the store is something I shouldn’t eat but has to worse for a kid on Halloween. 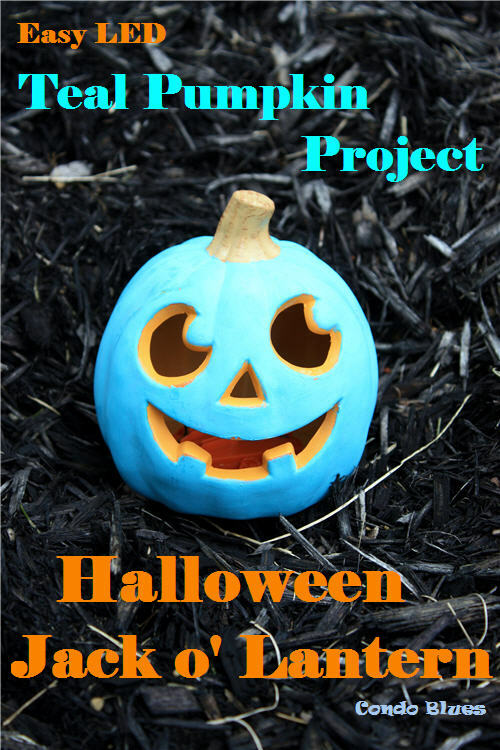 The minute I found out about the Halloween Teal Pumpkin Project I added allergy free treats for the food allergy kids to what we give out on Halloween. The only thing missing is a teal pumpkin to let food allergy kids and their parents that we have their back this Halloween. Pin this Halloween craft idea for later! Friends, this How To is such a simple craft decorating project it practically makes itself! 1. 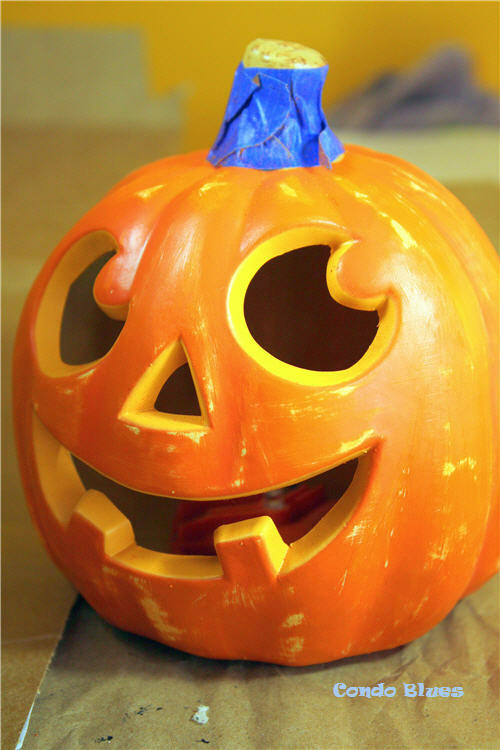 Use the sandpaper to lightly sand the gloss off the plastic reusable Jack o- Lantern. This will make the craft paint stick to the funkin better. You don't need to go crazy with the sanding. All you need to do is remove the glossy finish to rough up the surface so the paint will stick. 2. Tape off the stem and facial cut outs of the pumpkin do not want to paint teal with painter’ tape if desired. 3. 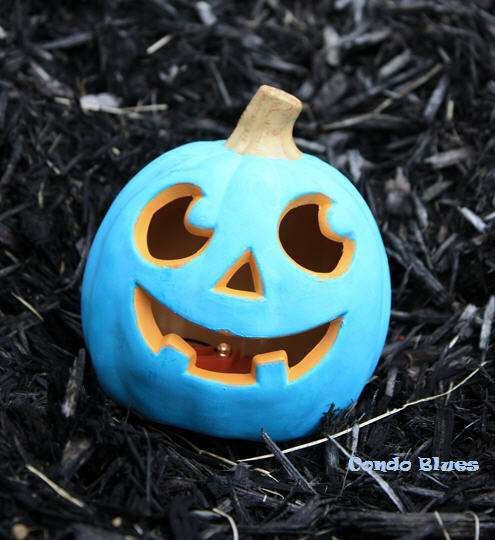 Paint the Jack o Lantern teal with the craft paint and paint brush. 4. Remove the painter’s tape while the craft paint is still well to encourage a clean tape line. 5. After the paint is dry, pop in a set of batteries (I use rechargeable batteries so I never have to worry about running out), and light up the night! I know, I know. Plastic glow bracelets are disposable and not very green but last year’s kids liked them better than the Halloween pencils I also had on hand. It’s also a better alternative than suckers for the little kids and makes them more visible at night.